Explore Ireland with Abarta Heritage. Incredible Stories, Expertly Told. With our acclaimed interpretation, audio guides and training, Abarta Heritage can help you to discover the incredible stories of Ireland. Established in 2012 by experienced archaeologists Neil Jackman and Róisín Burke, Abarta Heritage is an award-winning company based in Tipperary. 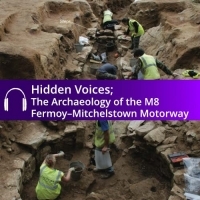 We have a passion for Irish archaeology and history and our mission is to empower communities to engage with their local heritage and to tell the fascinating stories of Ireland’s past, while promoting responsible and sustainable tourism. We are experts at creating compelling content that reflects the true stories of a region. As a company we have produced more than 30 audio guides and audio books, we have made a number of audio-visual films, we have designed and produced booklets, maps, brochures and interpretative panels and audiovisual hardware systems, and we are responsible for the management of flagship community heritage projects like Adopt a Monument for the Heritage Council and the Hellfire Club Archaeological Project. We have also produced acclaimed guidebooks to Ireland’s Ancient East and the Wild Atlantic Way for Collins Press. 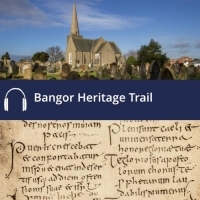 Through immersive storytelling, our audioguides and audiobooks help to bring the past to life. They are perfect for people who want to explore off the beaten path to find the hidden gems that are so numerous across Ireland. Written by archaeologists, historians and travel writers, our guides give you expert insights into Ireland’s famous sites and places. Our guides are professionally narrated and filled with music and sound effects to help to create an immersive and engrossing experience. 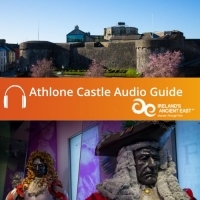 We have a large number of downloadable audio guides that cover sites all over Ireland, along with audiobooks that make Irish history and archaeology come to life. The guides are expertly researched and you can depend upon them to be solid on the facts and figures. But we also understand that it takes more than just facts to tell the whole story. You also need to appeal to people on an emotional level, to help to give them a passion for the subject at hand. So we don’t think history is just about strong men and great battles. You also need to hear all the little sidebar stories to illustrate the life of people in the past. So while we enjoy a good historical documentary, we also love a bit of the Sopranos or Game of Thrones – because along with being informative, our guides should also be entertaining and full of history’s twists and turns. Our guides are the perfect accompaniment to help you to make the most of your exploration, as they are full of tips and information to make sure you won’t miss a thing. They are also enjoyable from the comfort of your own home, where you can sit back and relax in your favourite armchair as stories from Ireland’s past wash over you. 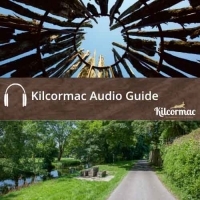 Try out our audio books with fictional tales from medieval Ireland, hear the true story of St. Patrick, Ireland’s patron saint, written by expert historians. Please Tell Your Friends About Abarta and Our Work. Choose Your Platform! © Copyright 2017 | Abarta Heritage | All Rights Reserved | No use of any content (including text images, audio or video) is permitted without express permission.